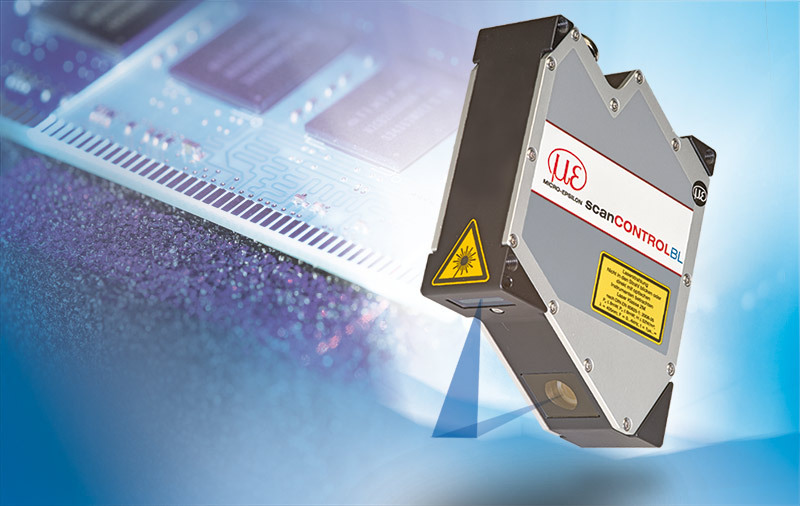 Red lasers are the gold standard when it comes to non-contact displacement measurement. They have been used for more than 20 years and suit a wide range of measuring requirements. However, there are circumstances where blue lasers will provide a more accurate and consistent reading due to its lower intensity and shorter wavelength. So when should blue lasers be used? 1. Measuring organic, transparent or translucent materials. When red lasers are used on translucent materials, penetration causes a blurred spot to be reflected back into the detector, reducing accuracy. Blue lasers penetrate significantly less into the surface compared to a red laser, which creates a very small focused laser point on the surface, providing stable and precise measurement results. 2. Measuring highly polished surfaces. Red lasers can get distorted by shiny surfaces, resulting in a “speckle” effect, increasing signal noise and reducing accuracy. Blue lasers offer less speckling, resulting in 3 times less signal noise production. 3. 2D/3D Profile measurements of translucent and highly polished surfaces. The benefits of blue laser light are not restricted to one-dimensional triangulation measurements, but can also be applied to 2D and 3D contour measurements. This means that blue laser profilers can be used to measure profiles of hot glowing metals, foodstuffs, highly polished surfaces, and transparent materials. Reference: “Red Vs Blue Lasers: A Comparison Of Triangulation Sensors”. Automation.com. N.p., 2016.